Pharmalytica is taking place for the 2nd year at HITEX Exhibition Centre, Hyderabad from 2nd - 3rd September 2015. It is south India's preferred pharmaceutical business platform allowing the pharmaceutical community to grow and share industry trends and business. Russell Finex is participating at Pharmalytica for the first time, displaying their innovative range of sieving and filtration solutions which includes vibrating sifters, vibro screens, self-cleaning filters, ultrasonic deblinding system etc. Visitors will have the opportunity to meet experienced sales representatives to discuss how Russell Finex separation machinery can be used for a wide range of pharmaceutical applications. Finex Ultima™: Exclusively available for the Indian market, this vibrating screen is designed with the latest technology and is capable of delivering increased productivity, quality and efficiency. This vibro screen is equipped with unique rubber suspension mounts which helps provide uniform and consistent sieving and an open frame design enables in easy cleaning. Russell Compact Sieve®: This high quality vibratory screener is designed for high capacity safety screening of powders and liquid slurries and can fit easily into existing production lines where space is limited. 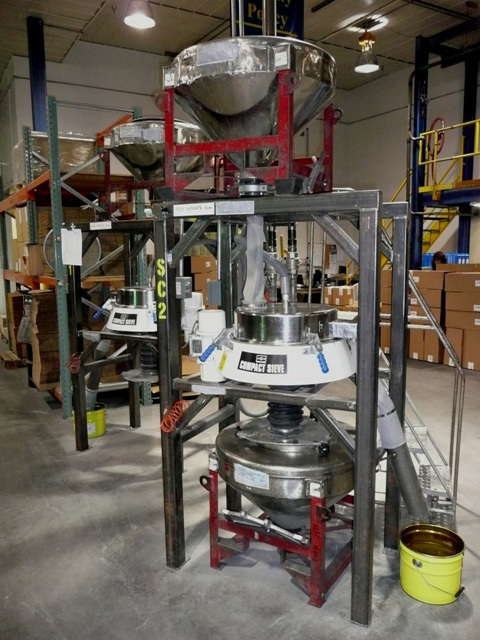 Using the Russell Compact Sieve® to safety-screen API’s, excipients and finished pharmaceutical powders will ensure product quality and remove any oversize contaminants, such as packaging, wear residue from other machinery or unwanted particles. The Vibrasonic® Deblinding System: This ultrasonic vibrating sifter helps in preventing blockages of sieve mesh by using an ultrasonic frequency. It also helps in increasing mesh life and reduces mesh damage. Self-Cleaning Russell Eco Filter®: This self-cleaning filter is designed with an enclosed system to provide high capacity filtration of liquids. A re-usable filter element removes the need to replace or dispose of bags or cartridges, helping to save time and money. Visit Russell Finex in Hall No. 3, Stand B 30 at HITEX Hyderabad to know more about how Russell Finex's sieving and filtration solutions can help you to optimize your processes.